Product categories of Particle board, we are specialized manufacturers from China, Particle Board, Melamine Particle Board suppliers/factory, wholesale high-quality products of Particle Board Price R & D and manufacturing, we have the perfect after-sales service and technical support. Look forward to your cooperation! 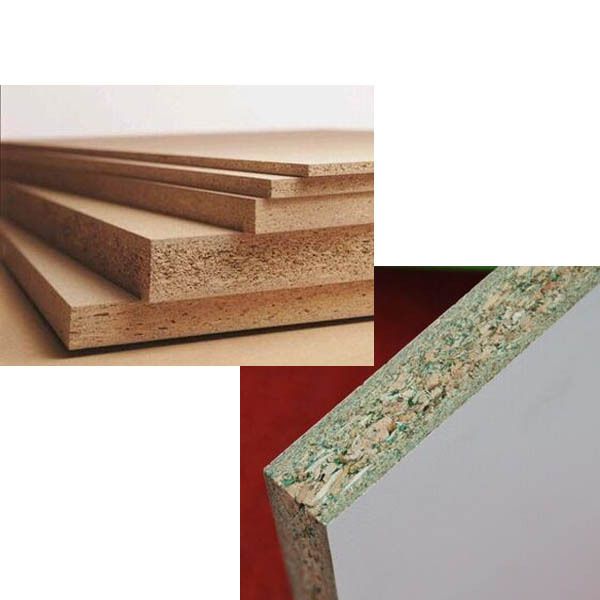 Particle board is mainly used for furniture and carriage of bus, train.The bace&back are the Veneer surface, such as Okoume, Bintangor, Pine, Birch, Poplar, Pencil cedar, Maple, Cherry, White Oak, Sapele, Beech, Red Oak, Ash etc.Melamine paper is the most popular to be as the face board, it is abrasion resistant, heat resistant, fouling resistant, clean is simple.The Engineering wood is also as the face and back surface. It is more cheaper and beautiful, can reach the same wood grain effect as the veneer surface.And we have High Quality Particle Board.LULI Group Co. Ltd, well known as the leading manufacturer for wooden, Steel and paper products, located in Shouguang, Weifang, Shandong, China. Since the foundation in 1985, it focus on the production of Plywood, venner, MDF , particle board, Door Skin, Blockboard, Finger Joint Board, OSB , paper, Steel etc.